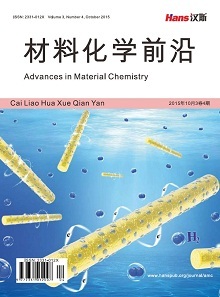 A cobalt, nickel and copper modified carbon paste electrode was prepared by electrode position and the electrochemical behavior of hydrogen peroxide was investigated. 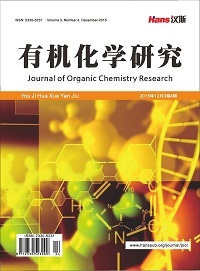 The determination of hydrogen peroxide was achieved by chronoamperometry, revealing that the concentration of hy-drogen peroxide changed linearly with the current when the concentration ranged from 3.25 × 10−6 mol/L to 3.25 × 10−4 mol/L, and the detection limit is 3.0 × 10−7 mol/L. The methodology was applied in detection of actual samples, manifesting several features including high selectivity, quick analysis and easy operation. 董绍俊, 车广礼, 谢远武. 化学修饰电极[M]. 北京: 科学出版社, 2003: 2. Hallett, J.P. and Welton, T. (2011) Room-Temperature Ionic Liquids: Solvents for Synthesis and Catalysis. 2. Chemical Reviews, 42, 2071-2084. 卢小泉, 张焱, 康敬万, 等. 分析化学中的化学修饰碳糊电极[J]. 分析测试学报, 2001, 20(4): 88-93. 葛梦展, 韩辉芳, 李炳蒙, 等. 钴镍双金属化合物/碳纳米管复合材料在电催化氢析出中的应用研究[J]. 化工技术与开发, 2018, 47(4): 17-21. 张宇, 岑竞鹤, 熊文芳, 等. CO2: 羧基化反应的C1合成子[J]. 化学进展, 2018, 30(5): 547-563. Yamamoto, K., Ohgaru, T., Torimura, M., et al. (2000) Highly-Sensitive Flow Injection Determination of Hydrogen Peroxide with a Peroxidase-Immobilized Electrode and Its Application to Clinical Chemistry. Analytica Chimica Acta, 406, 201-207. Karyakin, A.A., Gitelmacher, O.V. and Karyakin, E.E. (1995) Prussian Blue-Based First-Generation Biosensor. A Sensitive Amperometric Electrode for Glucose. Analytical Chemistry, 67, 2419-2423. 古映莹, 李丹. 高锰酸钾法、碘量法和铈量法测定过氧化氢的比较[J]. 理化检验(化学分册), 2007, 43(9): 788-789 + 79. 朱金, 江信求, 陈永宁, 唐宁莉. 过氧化氢–钴–纳米银体系共振散射法测定痕量过氧化氢[J]. 化学研究与应用, 2016, 28(12): 1754-1757. 陶锁军, 张爱菊, 张小林. Fe(Ⅱ)-铁氰化钾阻抑分光光度法测定消毒液中过氧化氢[J]. 理化检验(化学分册), 2017, 53(2): 233-235. 陈易晖, 刘艳, 周建立, 等. 高效液相色谱–紫外检测法测定食品中的过氧化氢[J]. 光谱实验室, 2009(2): 414-417. 张倩, 付时雨, 李海龙, 等. 一种快速测定过氧化氢浓度的方法[J]. 光谱学与光谱分析, 2014, 34(3): 767-770. 何世伟, 吴宏伟, 习玲玲. 离子液体掺杂聚苯胺/纳米铜修饰电极制备及其在过氧化氢测定中的应用[J]. 分析化学, 2013, 41(5): 766-770. 高艾, 王玉茹, 何锡文, 等. 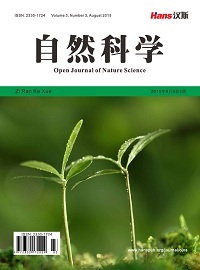 聚多巴胺包埋G-四联体/血红素DNA酶制备过氧化氢生物传感器[J]. 分析化学, 2012, 40(10): 1471-1476. 李丽花, 徐琴, 王海燕, 胡效亚. 普鲁士蓝–多壁碳纳米管复合材料修饰电极测定过氧化氢[J]. 分析化学, 2007, 35(6): 835-838. 刘艳, 牛卫芬, 徐岚. 基于层层自组装技术制备石墨烯/多壁碳纳米管共修饰的过氧化氢传感器的研究[J]. 分析化学, 2011, 39(11): 1676-1681. 王奕琛, 姜秀娥. 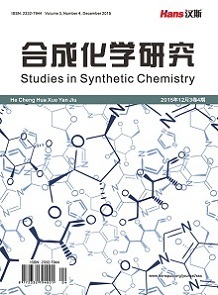 基于碳载小尺寸银纳米颗粒的过氧化氢电化学传感器[J]. 分析化学, 2014, 42(5): 689-694. 李理, 卢红梅, 邓留. 基于石墨烯和金纳米棒复合物的过氧化氢电化学传感器[J]. 分析化学, 2013, 41(5): 719-724.